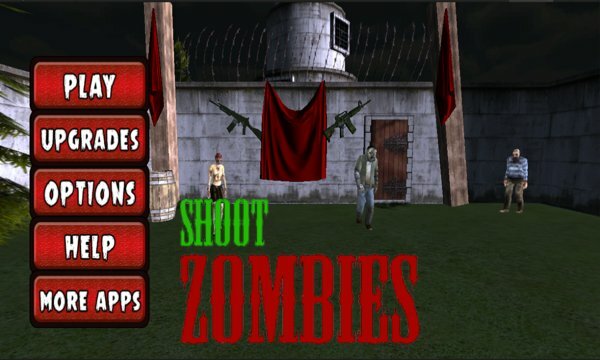 Shoot Zombies is a First person 3D shooting game in which you have to survive by defending the fences around you and you are playing role of Zombies Killer otherwise they want to destroy your farm house. Zombies attack in their numbers and u have to kill Zombies in order to advance in the game and more you advances in the game, the number of zombies increases. This game is unique because of health of the fences instead of player as normally player has the health. Attack on fence decreases the health of the fence. Player can defend him or herself by protecting the fences at front, right & left hand side before the health of fence becomes zero. Killing a Zombie adds $20 to your score. 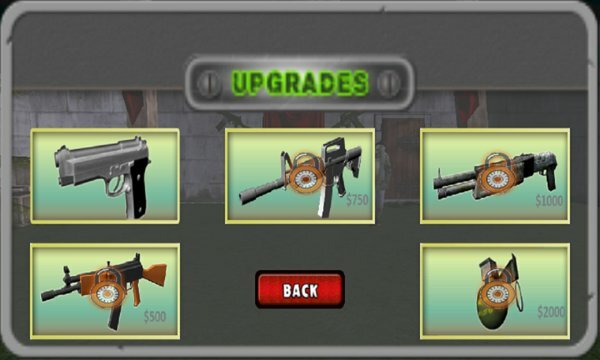 In Shoot Zombies, player can purchase weapons by having enough score and you may unlock other weapons as well. This is an action based, addictive & adventurous game & it has following 5 weapons. *** On the top left of the screen there are three fences displayed and below them is their health. *** On the bottom left there is a navigation controller for player to move the game character in the scene. *** On the top right corner is bullet icon which displays no of rounds are remaining. *** Right before the bullet icon there is a Dollar sign which displays the score of the player. *** On Right side of the screen is a weapon button which shows the image of current weapon and you can also navigate to next unlocked weapon with this button. *** On the Bottom right side of the screen is a fire button.